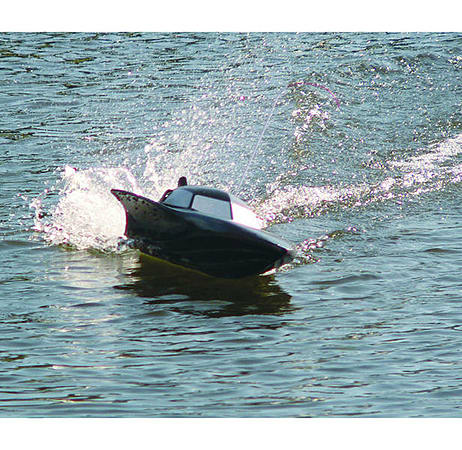 This twin engine, twin joystick Remote controlled Stealth Speed Boat has the sleekest lines of any power boat and can accelerate up to speeds of 30kph with ease. 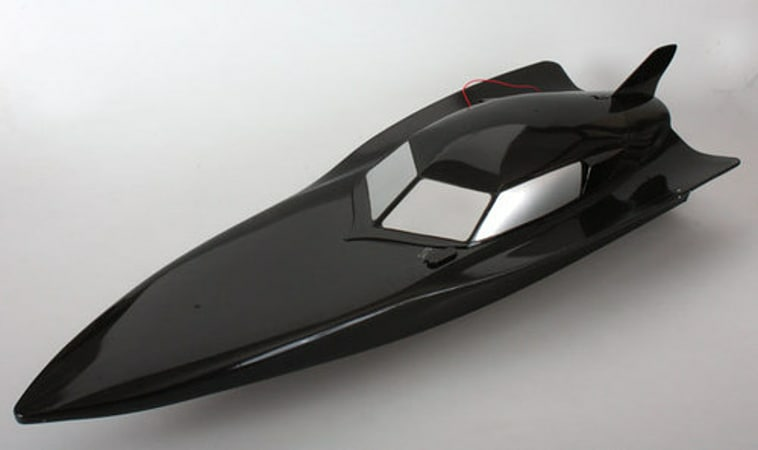 This is one of the fastest speed boats we've ever had the pleasure of testing. The huge capacity 7.2V Ni-Mh rechargeable battery will give up to 10 minutes of wave shattering fun on a four hour charge and allows plenty of time for racing, and cruising.Perfect for calm or choppy conditions this stealth speed boat makes a great addition to any Gadget collection. Not only does it look like the bat boat but it goes like a bat out of hell as well. Not only will its pace amaze you but also the turning capabilities. This remote control power boat turns so tightly that even the ducks will need to keep an extra eye out. Just watch out for the old bill, get it? bill…..duck bill…never mind.Stealth Speed Boat Features Stealth speedboat assembled 1 x 7.2v rechargeable Ni-Mh battery Set of spare propellers Mains powered charger Remote control radio unit with aerial Boat stand Sticker pack Full instructions 4 hour charge gives the Stealth Speed Boat 30 minutes of wave shattering performance. When we say this baby shifts, we mean it.